Steve's Hi-Fi in Hastings closes down | What Hi-Fi? We're saddened to report that Steve's Hi-Fi in Hastings has been forced to close due to vandalism. 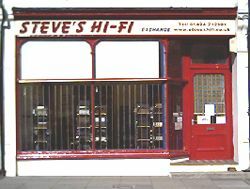 In a statement on its website, the shop's owner says: "It is with great regret that I must announce that Steve's Hi-Fi is closing down with immediate effect. "Vandalism in the flats above the shop has caused the premises, together with all the stock and and servicing equipment, to be ruined due to severe flooding." Anyone wishing to contact the store can call 01424 444023 or 07508 624067.